How to convert MKV to DVD on Mac? "Hello, I am trying to convert a 720p H264 Dolby 5.1 DVD MKV file to a format that I can burn to DVD files. I assume it is a DVD rip since it is 4.5 Gigs. I have searched for a method to do this and I Assuming that I just want to view the video in the native resolution and sound as in the MKV file, what format do I convert to, and what are the best tools to use?" MKV is an advanced container format for HD videos and starts to take greater share in the video territory. For the moment, how to convert MKV to DVD conveniently and easily are caring about many users. Now iFunia Video Converter for Mac can work as an excellent MKV Burner Software for all users. It can burn any MKV videos to DVD format as you like. Let's see how to convert MKV video to DVD for you. Now, we need to import MKV files that need to be burned. 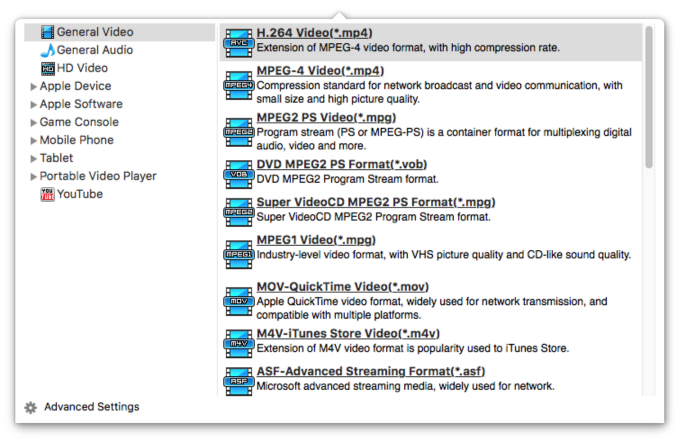 Drag and drop MKV videos to the interface of iFunia Video Converter for Mac. You can also click the Media Browser icon at the upper right corner to import MKV videos from Folder, iTunes and Device. If there is a need to MKV videos to DVD in bulk, you can import multiple files. After importing MKV videos, please click "Edit" button to access to the Video Edit panel. To personalize your video, you can also try to add picture or text watermark with customized transparency, size and position in your videos. Select your output format. Click the format profile icon, and the output format profile window will open. In this case, you will want to select "DVD" format (the .vob extension). After all the settings, click the convresion button for MKV to DVD video conversion on Mac. The convert progress bar shows you how much of the encoding is completed. The encoding time will depend on several variables including: the duration of the video file, the speed of your computer, what other activity your computer is currently doing and the bitrate you set.